Click here to go to the Library of Congress page for this view in another browser window. Be aware that a number of download styles are available, including full size versions exceeding 100MB as downloads. As an aid to the Maine Two Foot enthusiast to determine whether they wish to visit the LOC site to download their own copies, we show the following reduced copy views. Clicking on these pictures will show a larger version in your browser. This view shows the original Bridgton & Saco River railroad entering the town just below the ponds at the middle left. Note that the inset picture at the lower left is a coloured rendition of the black & white photograph published in many standard texts about the B&SR, including Jones’ Two Feet to the Lakes on page 36. 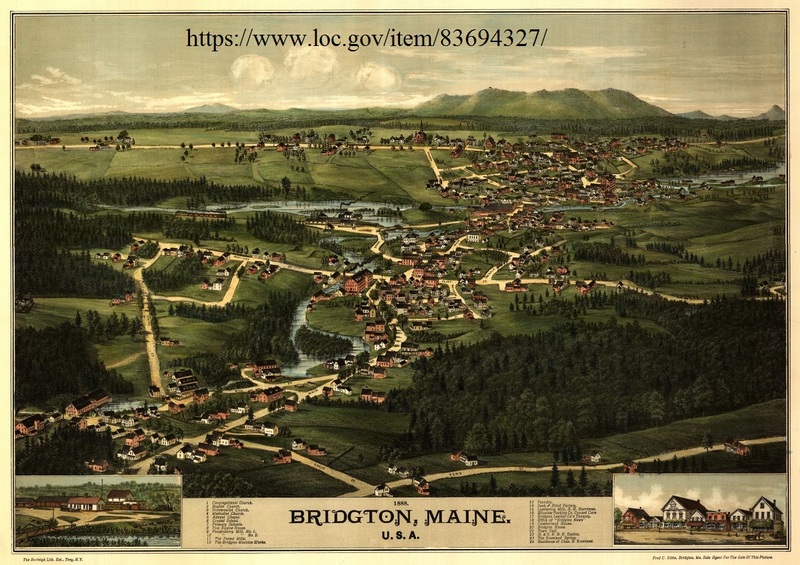 The pictorial view is notable for showing many of the Mills of Bridgton. Inspection of the full sized copy on the LOC site (at https://www.loc.gov/item/83694327/ ) allows the feint numbering of the mills to be read. This view is noteworthy for showing the tracks of the Monson railroad entering town, and then going to the individual slate mines beyond the station area. This view shows the original Franklin & Megantic railroad entering Kingfield as a spur while the mainline bypasses the town in the background. 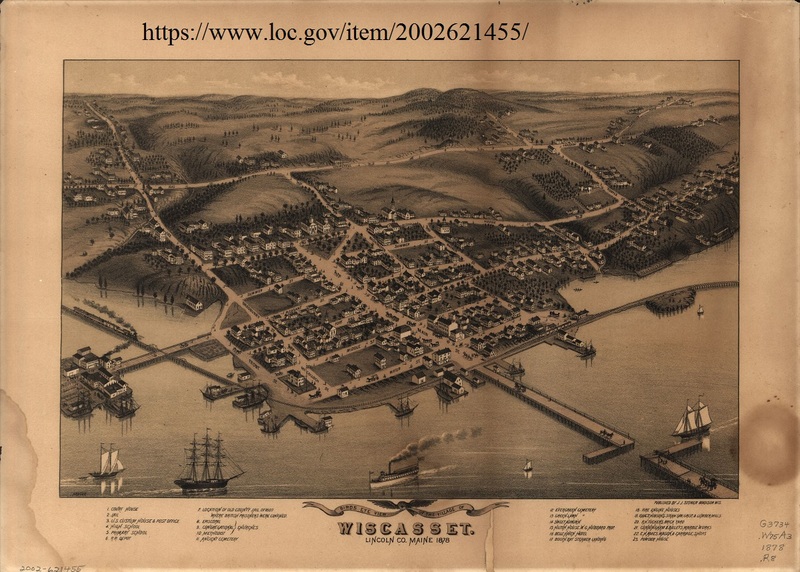 This view predates the building of the Wiscasset & Quebec two foot line, but does show the standard gauge line, town and wharves. This view predates the building of the Kennebec Central two foot line, but does show the standard gauge line on the opposite bank, the town and wharves. It also shows just how neatly the Kennebec Central was threaded through the existing landscape. 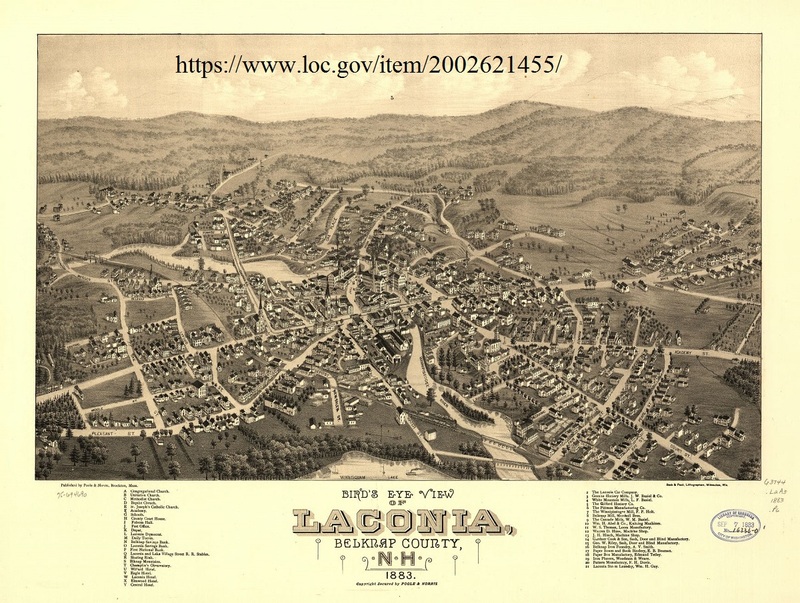 Although not served by a two foot line, the interest in this view is the Laconia Car Company shown in the middle of town. This company built a number of items of rolling stock for the Maine Two Footers either directly or in a previous incarnation as The Ranlet Car Company. 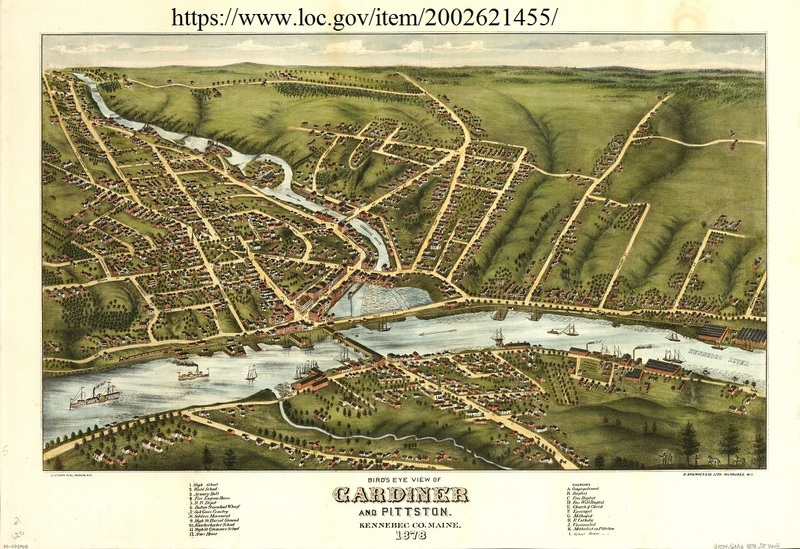 The Kennebec Central was built in to connect the National Soldiers Home at Togus to nearby Gardiner, but finished a little short on the Eastern Shore of the Kennebec River at Randolph. 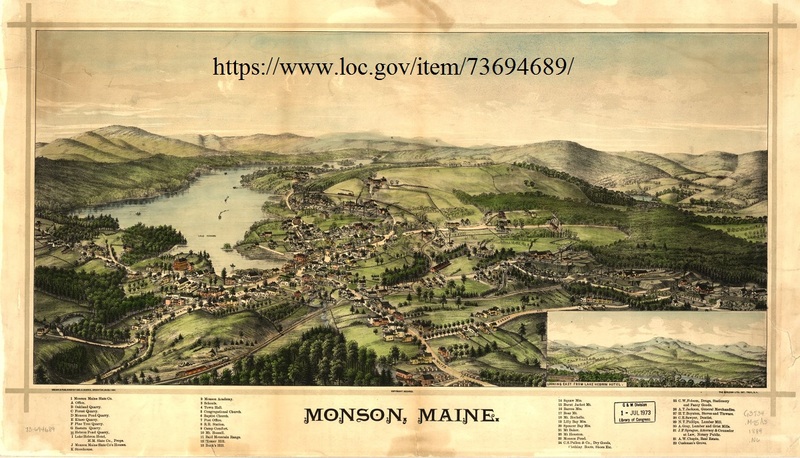 The backers of the line included Weston Lewis and Josiah Maxcey, both bankers who were also associated with the Sandy River and Franklin & Megantic railroads. Construction of the line started in 1889. The line hauled coaled from a riverside wharf and storage facility to the Soldiers Home boiler house, and also provided regular passenger and freight service. Special services were provided for major events held at the soldiers when trains ran continuously until all passengers had been transported. The line was five miles long with a couple of intermediate stops. When the original loco’s were worn out, the KC bought second-hand replacements from the B&SR in 1922 and the SR&RL in 1925. The KC ceased operations in 1929, and eventually both of these locomotives were acquired by Frank Winter for his WW&FR in 1932. Baldwin built 1890 as Kennebec Central #1 Volunteer. Rear tank held 600 gallons water & 3/4 ton coal. This locomotive served as Kennebec Central #1 (1890 – 1922). Repeated the design of Franklin & Megantic #2. 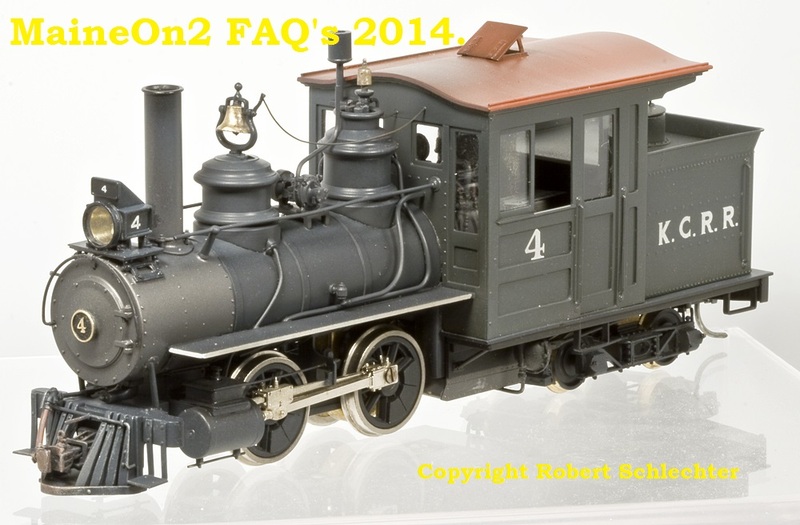 Became the standby engine when Kennebec Central #2 was delivered in December 1890. Scrapped when Bridgton & Saco River #3 was purchased in 1922. Portland #621 built 12/1890 as Kennebec Central #2 Veteran. This locomotive served as Kennebec Central #2 (1890 – 1925+). Some historians suggest this locomotive repeated the design of Phillips & Rangeley #1, but photographs suggest a lower and more diminutive profile. Phillips & Rangeley # 1 was the most powerful two foot gauge engine in Maine when Kennebec Central #2 was built, and the Kennebec Central may have specified a smaller engine to pull lighter trains over shorter distances. 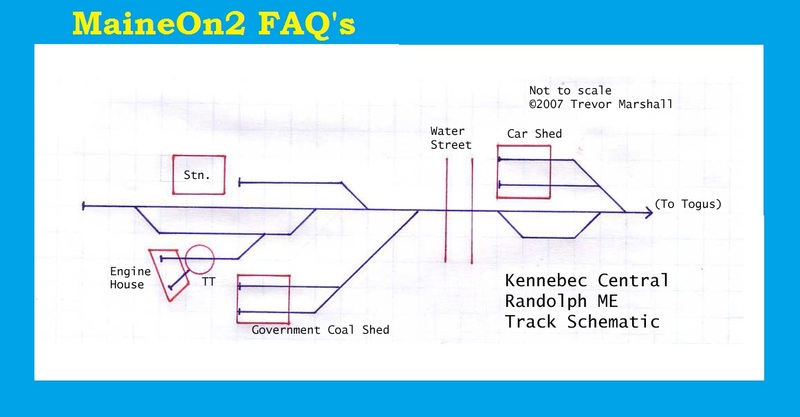 The estimated specifications above assume Portland repeated the design of Bridgton & Saco River #1-2 for this locomotive. Purchased as a standby engine, but appears to have been the preferred Kennebec Central engine until Bridgton & Saco River #3 was purchased in 1922. Kennebec Central #2 then became the standby engine until Sandy River & Rangeley Lakes #6 was purchased in 1925. Veteran was subsequently stored outdoors at Randolph and dismantled as a source of spare parts to keep the other Portland engines operating. Purchased from the Bridgton & Saco River (their #3) in 1922. The KC purchased this loco from the SR&RL (their #6) in 1925. 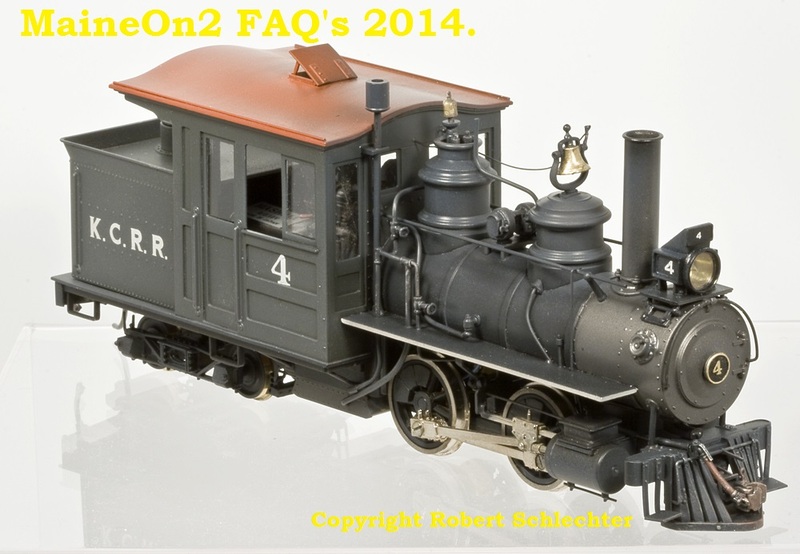 Two views of Robert Schlechter’s CB SR&RL #6, detailed and painted by Jerry Kitts as it’s later incarnation as KC #4. Click on blue text to view the specific posting for that model on a new browser page. 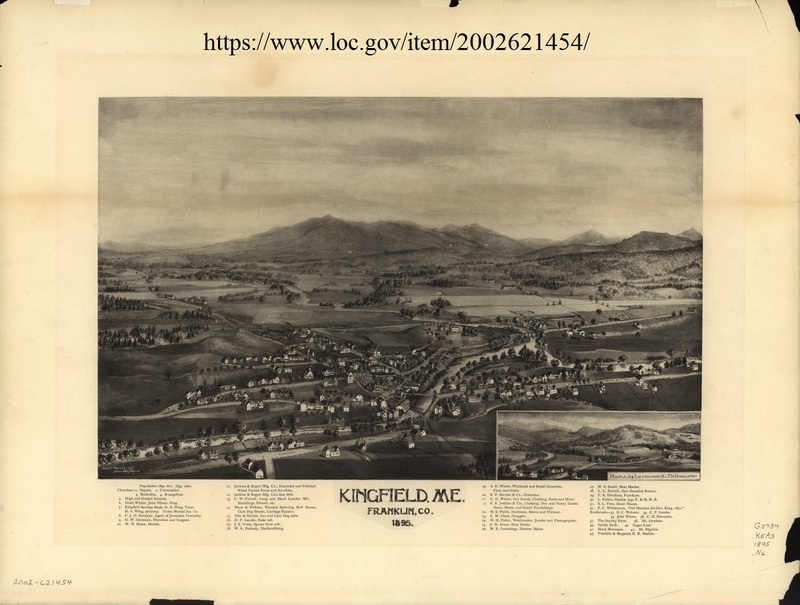 Historic Kennebec Central Drawings list: this list of drawings was provided by Chester Louis, and was last updated on the 17th November 2003.